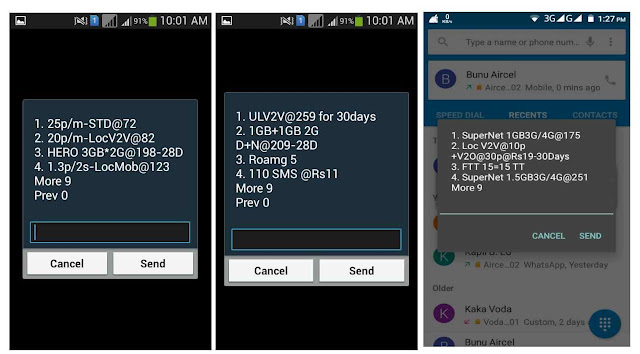 If you are a vodafone customer then you can get variety type of offers. But the question is how can get this offer? Here you can get solution. If you will go any type of recharge then you must to follow this process. then you can know your all offers like internet offers, full talktime offers, sms offers, rate cutter packs offers etc. 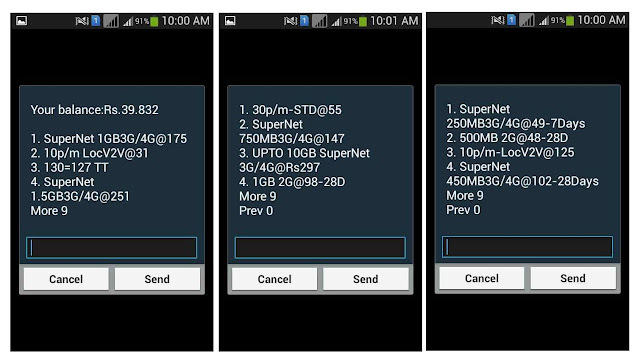 Here you can see 3G/4G SuperNet offer 1GB of Rs.175, 750MB of Rs.147, 250MB of Rs.49, 1.5GB of Rs.251, upto 10GB of Rs.297, 450MB of Rs.102 ; 1GB 2G of Rs.98, 500MB 2G of Rs.48 with validity and also you can see other details. Here also you can see all offers pack for my mobile. Try if for knowing your offers.